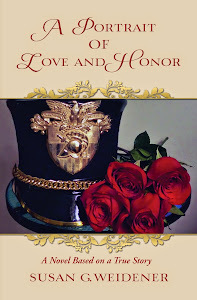 The last three years have been an amazing and rewarding journey, thanks to you my wonderful readers. 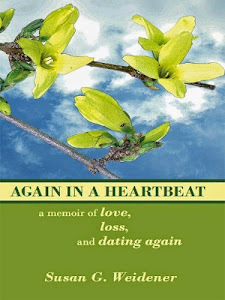 Each and every month since July 2010 when I took the plunge and published Again in a Heartbeat, new readers have contacted me either in person or online and told me how much they have enjoyed my stories of love, loss, passion and renewal. Your insights into my stories, which, in many ways, you have told me are your stories too, have taught me so much about this road we travel together called life. I am forever in your debt. 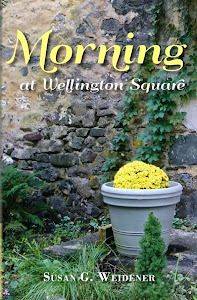 To celebrate the third anniversary of the publication of Again in a Heartbeat, I am offering my memoirs - Again in a Heartbeat and Morning at Wellington Square - at a special savings of under $6 for the ebook set. It was always my hope that they would be read as a compact set. Together, they form a portrayal of a modern woman's journey. "Not an easy life, nor a popular one given the choice," as one reader told me, but a life as true as I could tell it . . . So a very special thanks goes to you, my wonderful readers, who have brought me so much love and joy and without whom I never could have found the courage to write these stories. 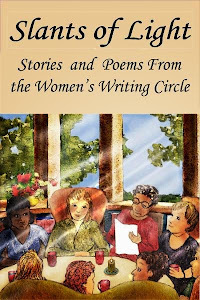 Your ongoing support and encouraging words of praise remain the catalysts that keep me motivated in my desire to bring women's voices to you here on this blog/website with exciting guest posts by inspiring writers; through the read-arounds and writing workshops of the Women's Writing Circle . . . and in future writing projects and stories I hope to bring your way.